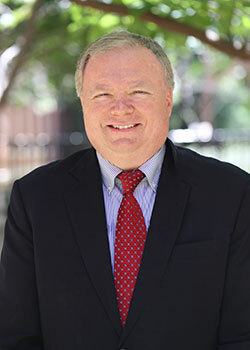 Daniel M. Ogden, J.D., is the Director of Export Compliance and the University Export Control Officer at Baylor University and serves as Baylor's DDTC Empowered Official. He is responsible for developing, implementing, and managing the University's export control compliance program, and for driving export compliance across the University. In this capacity, he provides training and guidance to University faculty and staff concerning export controls issues related to sponsored programs, research endeavors, physical exports, deemed exports, technology exports, international travel, international shipping, and cross-departmental communications, and drafts and maintains export control policies, procedures, training materials, and on-line resources for the University. 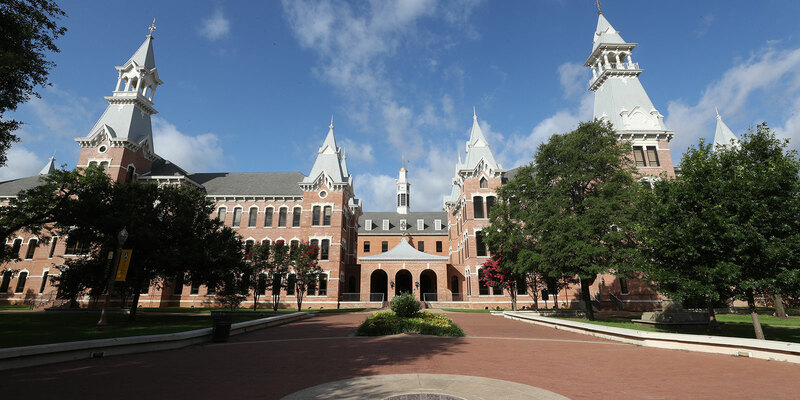 He also is an Adjunct Instructor of International Business at the Baylor University Hankamer School of Business where he teaches a course on Global Trade Compliance. He is an attorney at law, licensed customs broker, and international trade consultant who for more than 25 years has counseled and represented companies on various aspects of international trade and business. A recognized authority on international trade issues, he is a frequent consultant on international trade legal matters and provides training on trade compliance management. He was the Chair of the National District Export Council in 2012 and 2013 and also the Chair of the National DEC Trade Policy Committee from 2009 to 2015. An active participant in the North Texas District Export Council beginning in 2005, he was appointed to the North Texas DEC in 2008 by the U.S. Secretary of Commerce and is the Chair of the Compliance & Security and Export University Committees. He has appeared before governmental panels on trade policy issues, including testifying in 2013 before the U.S. House Small Business Trade Subcommittee where he discussed a Small Business Trade Agenda for the 113th Congress, and participating on a European Union Parliament panel in 2014 regarding the perspectives of U.S. exporters as relates to the Trans-Atlantic Trade and Investment Partnership. He regularly serves as an organizer, moderator and presenter at international trade and export compliance forums, including conducting training courses for Marcus Evans on International Trade Compliance Across Business Units; moderating and presenting at a panel on International Trade in Technology at the Baylor University 2018 Global Business Forum; presenting Export Compliance & Foreign Distribution at the NACM 2015 Credit Congress and the ICPA Fall 2013 Conference; presenting Business Strategies for Risk Mitigation and Protection of Intellectual Property in Foreign Markets at a 2014 U.S. Department of Commerce Discover Global Markets event; organizing the North Texas DEC BIS Export Compliance 2011, 2012, 2013 and 2015 Conferences; moderating a panel on Global Trade Compliance Management Design and Structure at the North Texas DEC 2009 Non–U.S. Trade Controls conference; speaking on Export Compliance & Foreign Distribution Intermediaries at the North Texas DEC 2007 Exporters & Third Parties conference; and discussing U.S. Regulation of International Trade at the Baylor University 2007 Global Business Forum. He has taught Transnational Law and Business Transactions at the Tianjin University of Finance and Economics in Tianjin, China; and Introduction to International Business and Trade, International Marketing Management, and International Business Law at Richland College. He has additionally been a guest lecturer in International Business Transactions at Texas Tech University School of Law and Export Market Development at the University of Texas at Dallas School of Management. He received his Doctor of Jurisprudence degree in 1987 from Texas Tech University School of Law and a Masters degree in International Management in 1984 from the University of Texas at Dallas Graduate School of Management. In addition to being a member of the State Bar of Texas, he is admitted to practice and has represented clients before the U.S. Court of International Trade (Bell vs. United States, 17 C.I.T. 1220, 839 F. Supp. 874, 1993). He also holds a customs broker license from the United States Customs Service (License No. 12477), which he received in 1991.